Siddharth Jatav, a garment maker from Kuranagaon in West Uttar Pradesh’s Baghpat district, is a would-be entrepreneur. He’s over the moon because he was recently sanctioned a Rs 50-lakh loan under the Centre’s Startup India scheme to set up an oil mill in his village. He has picked up Rs 38 lakh out of the approved amount, keeping the rest in reserve. Full of beans, Siddharth, 41, has plunged himself in electioneering for the Opposition “gathbandhan” (alliance) in the Baghpat Lok Sabha seat on behalf of the Bahujan Samaj Party (BSP). “My oil mill can wait because first I have to see our candidate through,” he says. “Our candidate” is 40-year-old Jayant Chaudhary, the son of Ajit Singh who heads the Rashtriya Lok Dal (RLD). He is the grandson of Chaudhary Charan Singh, who’s such a legend that local lore has it that he appears in people’s dreams on election-eve and asks them to vote the RLD. Despite Charan Singh’s collective apparition, Ajit Singh and Jayant lost their seats to the Bharatiya Janata Party (BJP) in 2014. This time, the force of arithmetic spurred the RLD to tie up with the BSP and the Samajwadi Party (SP) and, more importantly, work hard to ensure the numbers transmuted into electoral alchemy. If history is a gauge, the “gathbandhan” ought to be riddled with contradictions, the greatest being the fact that for centuries the Jats were the oppressors of economically and socially weaker backward castes, as well as the Dalits. Charan Singh was a Jat and his heirs are identified with this largely prosperous community that was traditionally into agriculture. Until the BSP established itself as a force in UP, Dalits were never allowed to exercise their franchise freely by the Jats. “You are speaking of what happened 50 years back,” said Om Veer Singh Tomar, a Jat who is the principal of Baghpat’s DAV Inter College. “The Jats, Yadavs (the SP’s core vote base) and Dalits have common concerns, such as low or no payment for agricultural produce, the Goods and Services Tax, demonetisation, bad roads, and high power costs,” said Tomar. Ostensibly, however, what finally cemented the coalition was the outcome of the 2014 Lok Sabha elections in Baghpat. 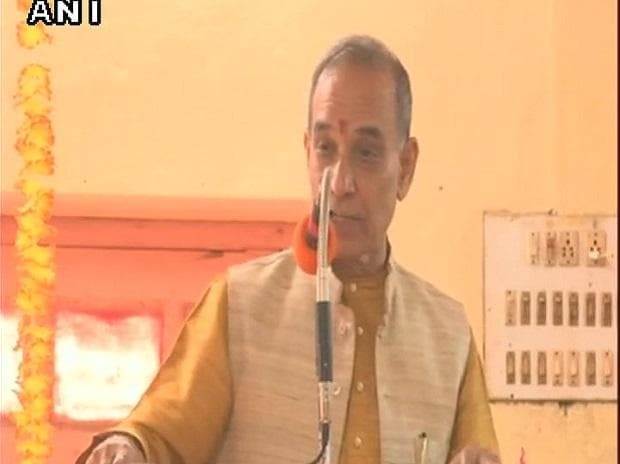 The BJP’s Satya Pal Singh, a junior minister, polled 423,475 of the total 1,004,263 votes that were cast. Consider the votes that the BJP’s rivals secured to get the big picture. Ajit Singh, the RLD candidate, polled 199,516 votes; the SP’s Ghulam Mohammed got 213,609 votes; and Prashant Chaudhuri of the BSP netted 141,743 votes. The Opposition’s combined votes added up to 554,868 votes — 131,393 more than what Satya Pal got. A credible surmise was that while the SP got the Muslim and Yadav votes, Ajit Singh got nearly 80 per cent of the Jat votes, contrary to a popular notion that after the Muzaffarnagar communal violence, Jats embraced Hindutva, lock, stock and barrel. Does the impressive aggregate make sense on the ground? Sahapur-Badoli, a village of mixed castes but primarily Jat-dominated, illustrates new realities. Amit Tomar, 21, and Gaurav Tomar, 24, Commerce and BEd students, respectively, recalled that the highest number of Jats were enlisted in the UP police and as teachers in the state colleges when BSP President Mayawati was the chief minister between 2007 and 2012. “Yogi Adityanath (the current CM) only looks favourably at the Rajputs, while Akhilesh Yadav was pro-Muslims. So, if the Jats and Dalits were adversaries, as you say, would Mayawati have helped us,” asked Gaurav. But for village elders like Anangpal and Sudhir Tomar, both agriculturists, what rankled the most was National Highway 709-B, which traverses these parts more like an upgraded village “khadanja” road than the pride of their area as was billed by Satya Pal before the 2014 elections. Covered with treacherous pits left by the rains but unattended to, “for this NH alone, the BJP will not get my vote,” Anangpal said. NH-709-B echoes like an uncomfortable refrain in Baghpat. Devendra Sharma, the “pradhan” of Tyodhi village, called the highway an “eyesore” and claimed that if the Congress had fielded a candidate, the Brahmin votes would likely have gone to it. “I don’t have issues with the Congress,” said Sharma. Answering the accusations, an aide of the BJP MP who lived at Mavikala village, admitted that work on NH-709-B started just five months ago. “That was because the Akhilesh Yadav government refused to give a no-objection certificate,” he said. The aide conceded that Satya Pal Singh was not getting help from any of the BJP’s three area MLAs of Baghpat, Chhaprauli and Baraut or from the chairmen of the Chhaprauli and Baraut municipalities. All of them are from the BJP. “On the plus side, we have the vastly improved law-and-order situation to show. If 40 per cent of Jats are with us, we will win, though by a smaller margin. If not, God help us,” he said.